Get ready to go to the East Coast. The location and dates for the Rocket League World Championship for the seventh season have been revealed. The event will be held at the Prudential Center in Newark, New Jersey from June 21 to 23. 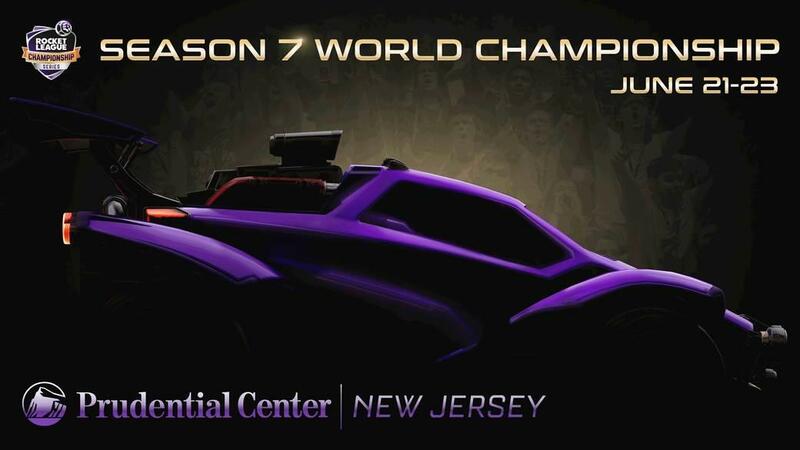 The best players from around the world will unite to duke it out for a share of the biggest prize pool in Rocket League. This marks the first time since the season four RLCS World Championship that the tournament will be held on the East Coast of the U.S.—EU’s Gale Force Esports (now Dignitas) lifted the cup at that event. A new format will also be introduced at this year’s world championship. Instead of using a double-elimination system, players will now compete in a group stage and the move to a single-elimination bracket. It also marks the first time that a team from South America will be participating in the championship. Tickets are available on the RLCS website for various prices. Fans who want to attend all three days of the event can purchase the $45 “Early Bird” ticket.